Who’s ready for some football? While the Broncos sadly had a horrible season and we have to endure watching Tom Brady in yet another Super Bowl, the consolation is that I’ll be serving delicious food and watching the commercials! 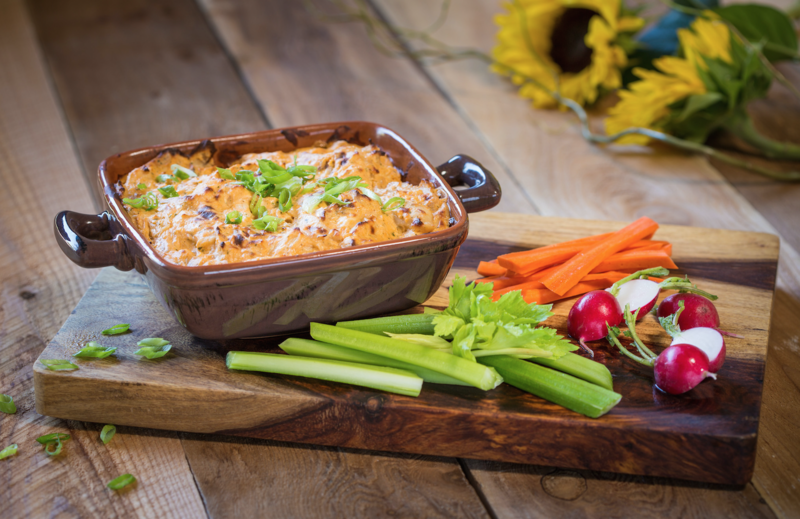 In preparation for the big game, I always make this delicious Buffalo Chicken dip and you too can make this with ingredients you likely already have on hand! It’s super simple and takes no time at all to pull together. You can easily substitute a rotisserie chicken from the Safeway deli if you don’t have the extra time to cook and shred your own chicken breasts. I simply put the chicken in the crock pot in the morning and then use part of it for this dip and part for chicken enchiladas for the big game. 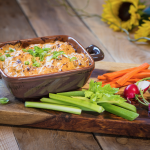 Safeway has hot deals on Greek yogurt, cream cheese and chicken this week so you can make this Buffalo Chicken Dip on the cheap! 4. Put mixture in 9-inch pie dish (or any oven-safe casserole-type dish) and sprinkle remaining blue cheese on top. 5. Bake for about 20 minutes, until bubbling and a bit brown on top. 6. Serve with celery sticks, carrot sticks, and any variety of tortilla chips. 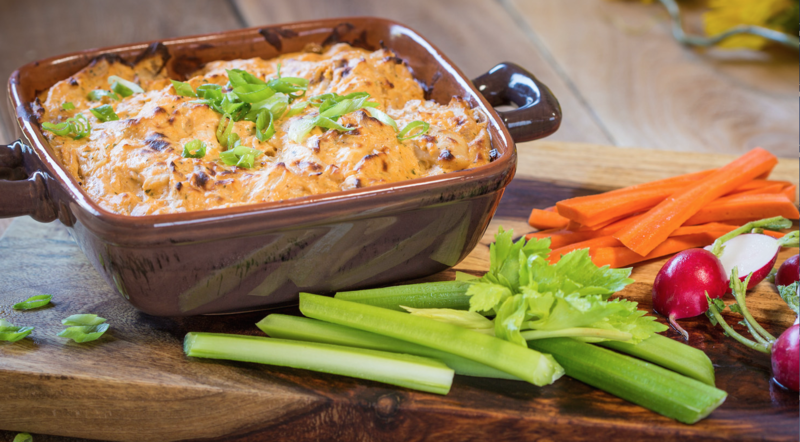 Buffalo Chicken Dip is the perfect game day appetizer. Serve with chips, toasted baguettes and a side of celery and carrots. Put mixture in 9-inch pie dish (or any oven-safe casserole-type dish) and sprinkle remaining blue cheese on top. Bake for about 20 minutes, until bubbling and a bit brown on top. Serve with celery sticks, carrot sticks, and any variety of tortilla chips. Thanks to our friends over at Albertsons for the recipe and image!